When driving a business car, truck, or van, it's in the best interest of both you and your vehicle to be insured through our commercial auto insurance. In Orlando, FL, and the surrounding areas, Alliance & Associates provides your business the protection it needs against losses incurred as a result of vehicular accidents and all of the liabilities settled along the way. Because accidents are unpredictable, it's better to be safe than sorry by equipping your company with a proper insurance plan to ensure that you get necessary coverage for the road ahead. We have more than 100 years of combined experience in the insurance industry, and our company provides some of the best rates available anywhere in the state. Reach out to the staff of our Florida owned and operated business insurance company to request a free quote when you'd like to find out more about the commercial auto insurance options we offer. 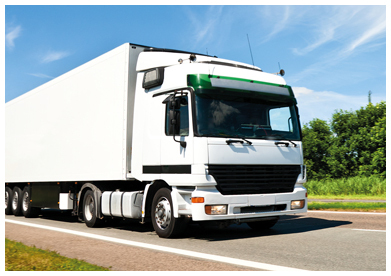 Patience is a necessary virtue to possess when it comes to shopping for a commercial vehicle insurance plan that fits your specific needs. Fortunately, we provide policies that are tailored to your unique situation and the requirements that you bring to the table. Rather than paying for coverage that you don't need, we connect you to a plan that only covers the situations that apply to your business. The most effective way to protect your company's automobiles is through precautionary measures such as fleet vehicle insurance. Unlike standard auto insurance, the "owner" of the automobile is the company itself instead of an individual. Whether your fleet is comprised of a single car or a hundred trucks, you can depend on our company to provide the coverage you need with a tailored plan that works best for your business and the vehicles that keep it moving forward. Contact our staff to learn more about our commercial auto insurance. We serve clients in Orlando, Kissimmee, Winter Park, Apopka, and Sanford, Florida, and the surrounding areas.